Important remark: Please note the Gruuthusemuseum is closed during a long period! Currently, the Gruuthusemuseum is closed for major restoration work. The reopening is planned at the ending of 2017. The Gruuthuse house and museum is situated behind the Our Lady's church. 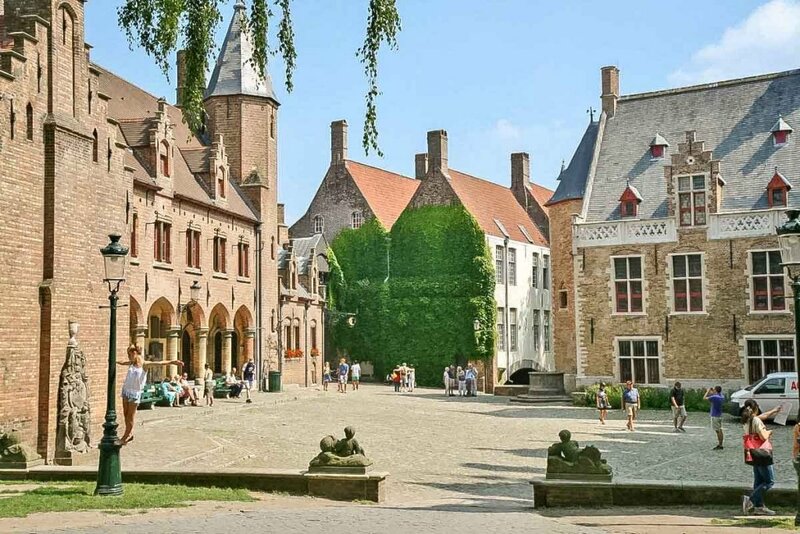 This impressive city mansion belonged to one of the richest families of the medieval city. It has now been transformed into a splendid museum. 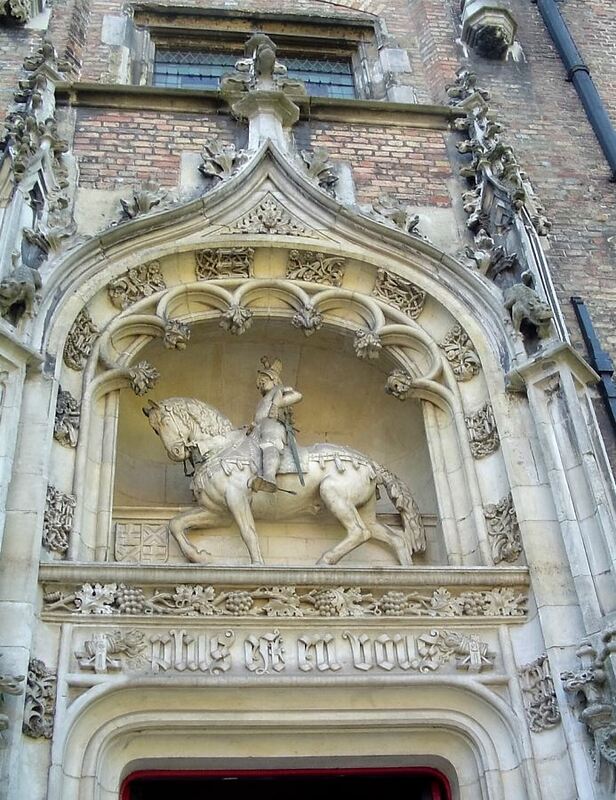 The Gruuthusemuseum, which is housed in the 15th-century city palace of the lords of Gruuthuse possesses the most diverse collection of applied art or decorative art of Bruges from the 13th to the 19th century. 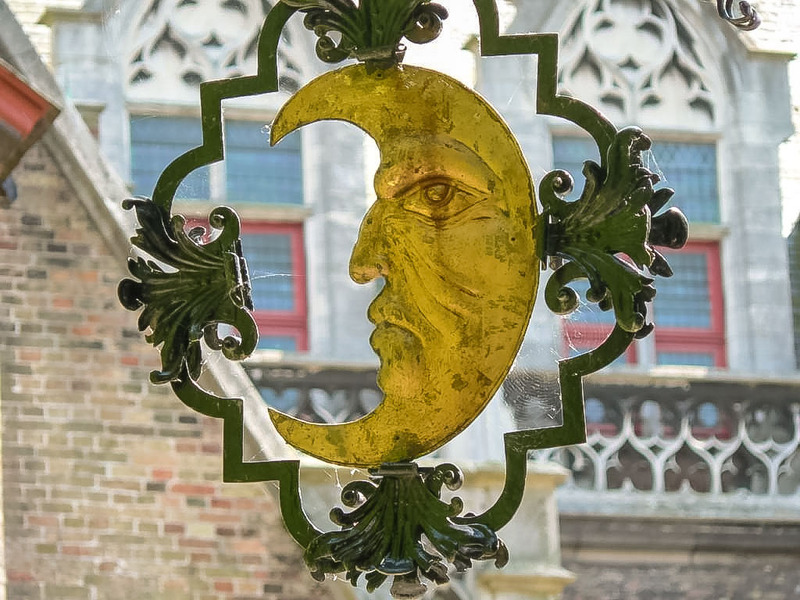 In addition one finds a large collection of pictures, interesting Bruges tapestries and furniture, silverware, pewter, weapons, ceramics and musical instruments. The centerpiece is the infamous 18th century guillotine, done in the armory. The palace radiates a special atmosphere. Especially in the kitchen and in the original medieval oratory, built in 1472, one imagines still in the late Middle Ages. The most famous resident of this monumental building was Louis of Gruuthuse. The name already explains why the Gruuthuse family was so important. The old Flemish word 'gruut' means : peeled barley or wheat. This was the main ingredient for beer-brewing in the Middle Ages. The lords of Bruges had the monopoly for the sale of this very important product. Because of their monopoly position they became very wealthy and powerful and they soon became known as the 'lords of Gruuthuse' (huse= house). The prayer chapel gave the Lords of Gruuthuse direct access to the Church of Our Lady and now offers an excellent view of the tomb of Mary of Burgundy. The Gruuthusemuseum has been closed since 1 July 2014 for thoroughgoing restoration. While, on the outside, the roofs, windows, and gutters are being tackled, we are working indoors on reorganising the museum.